Good news! K-12 engineering education may soon be coming to schools near you! This is certainly true if your state is one of 26 states leading the way to adopt the Next Generation Science Standards currently under development by the American Association for the Advancement of Science, National Research Council of the National Academies of Science, National Science Teachers Association, and managed by Achieve, Inc. If your Section or Branch members want to help shape the future of our profession, here’s your chance. Don’t worry – if this is the first you’ve heard the news, you’re still in time to show considerable support for this very positive development in STEM learning. After a period of public comment open this spring from May 8 – June 1, writers are now refining the standards based on tens of thousands of comments, and readying the next, and last, draft for public comment scheduled to open this fall. Interested in learning more and advocating for this remarkable change? Here are six smart ways to get you up to speed and position yourself as a change-agent for engineering education. 1. Understand the urgent need for new science standards suitable for 21st century learning. Citing a reduction in the United States’ competitive economic edge, lagging achievement of America’s student compared to students of other countries, critical importance of skills development for workers in a modern workforce, and the value of scientific and technological literacy for an educated workforce, a Carnegie Foundation commission of distinguished researchers and public and private leaders set the stage in 2007 for a new direction in science learning in the United States. The outcome will be this Next Generation of standards. 2. Learn the basics about the new standards and see what makes them worthy of your support. 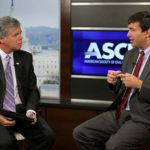 The framework for the new standards emphasizes first and foremost the new vision that K-12 science education should reflect real world interconnections in science, including active engagement in scientific AND engineering practices, and the application of crosscutting concepts to improve understanding of core ideas. Perhaps most important is the idea that scientific and engineering practices should be included in learning experiences that span student’s educational development from the very beginning of their school years. This is a major departure from previous standards that did not integrate scientific principles, engineering application or core concepts from the various disciplines of science learning. At most, STEM learning adhered to an approach that funneled capable students into a slim pipeline with access to higher ed STEM learning. 3. Find out if YOUR state is one of the 26 lead partners in developing the plan and discover ways to participate in the process. The development of the Next Generation Science Standards is a state led effort, with 26 states providing leadership and addressing common issues involved in adoption and implementation of the standards, including teacher development. Details about each state’s commitment and the implementation plan are available for review, giving individual advocates for STEM education, like you, an opportunity to plug in to activities that will support engineering education in your local schools. 4. Share information with like-minded friends and colleagues in the engineering community. If outreach is important to the members of your Section or Branch, here’s your chance to make a difference. In just four short years, educational researchers and engineering education advocates have helped move the needle significantly from the question of if engineering education should be included in formal K-12 science curriculum, to when. There is considerable work still to be done to ensure that the standards adequately integrate scientific content knowledge and the practices needed to engage in scientific inquiry and engineering design. Now that you know change is taking place, your collective leadership can help ensure that these standards are of the highest quality, are adopted widely, and are implemented comprehensively. 5. Support schools and teachers in their plans to implement the standards. With the release of the draft standards in May, education professionals at all levels were given a first look at what the future of science education might look like. Teachers who previously were unfamiliar with engineering concepts and activities were presented a new way of thinking about science instruction. The progressive integration of disciplinary core ideas, cross cutting concepts and connection with real world scientific and engineering practice will undoubtedly present new challenges in professional development for pre-service and in-service teachers. Engineering professionals are likely to notice a strong demand for their knowledge of engineering practice, as the hunger for technological literacy grows. 6. Report your experiences so others will learn from your model and take action. Engineering education advocacy groups and advisory councils are on the rise. In Boston, the Massachusetts Council of STEM Professional Societies – aka the “STEMSox” is gaining momentum and working together to provide engineering expertise to maintain Massachusetts position as a strong STEM leader in the U.S. United, civil engineers stand to have a strong voice in the conversation. ASCE’s Pre-College Outreach STEM Advocacy working group wants to hear from ASCE members interested and involved in STEM advocacy. What do you know about the Next Generation Science Standards? Does your Section or Branch have plans to engage? Post a reply and let us know where you stand on this new development. Wow great post and great response from REED above. This really is good news!! As an engineering student I have been amazed how many people say that they never learned ANYTHING about engineering in school and so didn’t even think to look into it. Really smart, creative thinkers like fellow Physics TAs and upper division math students who would have been interested in engineering but were never exposed. I’m Reed Brockman, from the Boston Society of Civil Engineers section of ASCE. I’m involved with the STEM Sox mentioned in the blog. Assuring that there is a next generation trained and enthusiastic to be the next stewards of our infrastructure is a topic very near and dear to my heart. I want to share a couple things we learned in MA over the past decade or so. 1. Like ASCE sections all over the country, we are a bunch of volunteers really wanting to “do things” and not get bogged down in meetings, so when we do have any meeting, it always needs a strong component of organizing for an upcoming event or other clear cut STEM related activity. 2. We are engineers, and we make great advocates and mentors that can encourage young minds to get interested in all STEM related subjects. Our enthusiasm for our own work is among our greatest assets, and sharing that enthusiasm is really what it is all about. ASCE’s brand new Civil Engineering Club for high school students is a beautiful example: of course, the materials are all about civil engineering, but we are not really trying to teach kids the intricate details of the profession — we are trying to show them all the things we love about our work, and show them real life examples of how the subjects they learn in school can lead to a happy career. And of course, there’s the added bonus that they will be learning to appreciate their built environments as well. 3. Be in touch with the surrounding K-12 community. Watch the messages you broadcast to them. If your words no not resonate with a student audience, you can turn them off to STEM careers even easier than you can get them interested. I could talk years on this, but read “Changing the Conversation” by the National Academy of Engineering and watch the 3 amazing videos ASCE Pre-College Outreach put together, and I’l stop blabbering. 4. Work with others. Advocating for STEM Education and working with students are not competitive sports. Team up with architects, chemists, doctors, and any other STEM professional individuals sharing the common bond of being in favor of making sure students get the best exposure to STEM careers and subjects possible. Hope this is helpful. Let’s keep the conversation rolling!